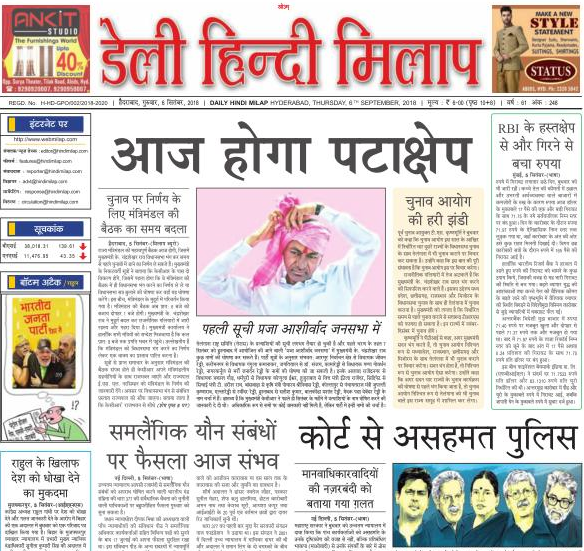 Daily Hindi Milap, has been the largest selling, most widely circulated and read Hindi newspaper in the region encompassing the twin cities of Hyderabad and Secunderabad. It has been one of the best mediums to reach out to the residents of these twin cyber cities. It covers several day-to-day events, topics and of course news articles and only has a single edition-Hyderabad, which is also distributed in Secunderabad. Let’s evaluate the reasons behind choosing Daily Hindi Milap as the preferred newspaper for advertising.